The amazing Palad Khik of Luang Phu Maekh, of Wat Lam Gradan (Minburi), is carved from Mai Kheuy Dtaay Prai. Local Devotees consider the Palad Khik Mai Kheuy Dtaay of Luang Phu Maek to be extremely sacred. 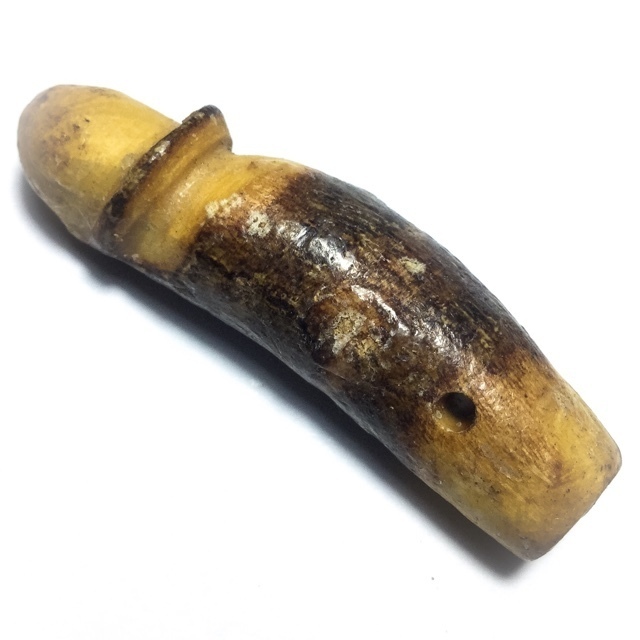 This Palad Khik Measures 5.8 Cm Long, and is portable.